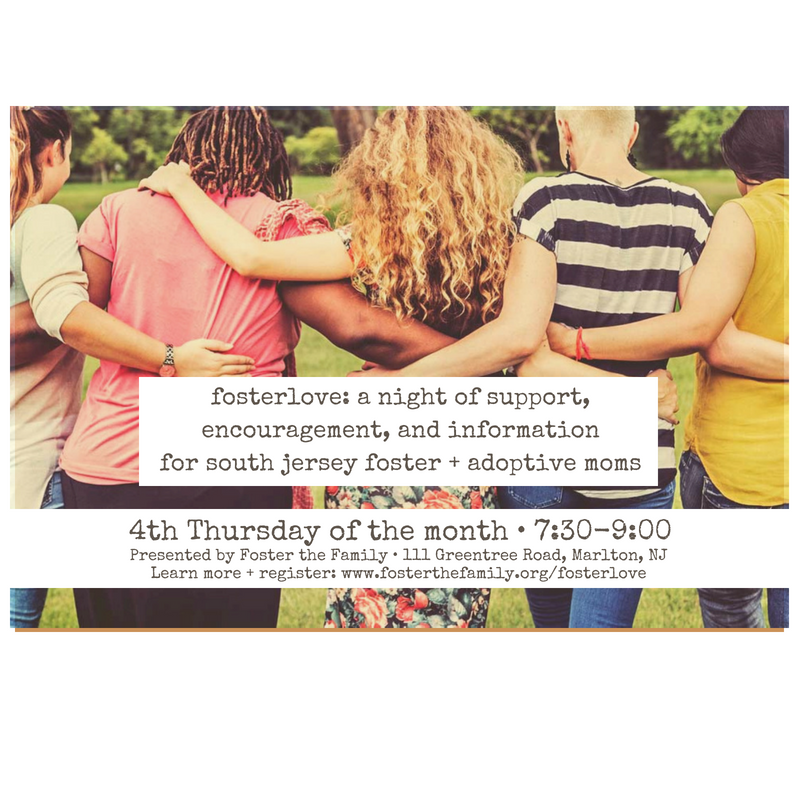 Interested in Becoming a NJ Foster Parent? Hoping to adopt? Have questions? Ready to sign up? Join us on May 16 at 7:00 to learn more about becoming a foster/adoptive parent. Hear from foster and adoptive parents and a representative from DCP&P. Helpful information about the basics of foster care and becoming a foster parent in NJ. Learn through a foster parent led FAQ session and discover the supports available to you as a foster/adoptive parent. You can even begin the licensing process! All are welcome! Snacks provided. 111 Greentree Road, Cherry Hill, NJ. E-mail roxy@fosterthefamily.org with questions. SAVE THE DATE for our next Foster Parent Interest Meeting on Tuesday, August 6!